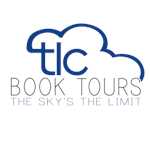 Announcing Live Chat Night with Juliet Grey, author of Confessions of Marie Antoinette!!!! Passages to the Past is so thrilled to have Juliet Grey, author of Confessions of Marie Antoinette, here for Live Chat Night! She has graciously taken time out of her busy schedule to stop by and answer a few questions for us...thanks Juliet! All corresponding (questions and answers) will take place in the comments section of the this post. I will start off the Chat Night with a welcome message and a question or two to get the ball rolling and then the floor is open to whomever has a question for Juliet. If you have a question or even a comment on another question or Juliet's response, just enter it into the comment box. 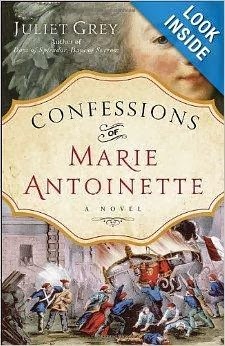 Confessions of Marie Antoinette, the riveting and sweeping final novel in Juliet Grey’s trilogy on the life of the legendary French queen, blends rich historical detail with searing drama, bringing to life the early years of the French Revolution and the doomed royal family’s final days. Juliet Grey is the author of Becoming Marie Antoinette and Days of Splendor, Days of Sorrow. She has extensively researched European royalty and is a particular devotee of Marie Antoinette, as well as a classically trained professional actress with numerous portrayals of virgins, vixens, and villainesses to her credit. She and her husband divide their time between New York City and southern Vermont. For more information please visit www.becomingmarie.com. You can also find Juliet Grey on Facebook. If you run into any issues while Chat Night is in progress you can always email me directly and I will get back to you ASAP. Thanks everyone, I'm so glad you could make it and I hope we have a blast! Hi, there, je suis ici! Welcome Juliet Grey. Sorry my clock says that it's 7:29 pm. My watch broke today; so I was going by the clock on the microwave and ran in to my computer! You've been living with Marie Antoinette now for three years, was it hard to say good-bye when you typed the final pages of CONFESSIONS OF MARIE ANTOINETTE? I was sobbing hysterically. It was an incredibly emotional experience. If you add the years of research before any of the books got published I've been living her her (and Louis) for about 5 years. I really loved them. I know that Amanda Foreman wrote that she fell in love with Georgiana Spencer when she wrote The Duchess. And I fell in love with Zelda Fitzgerald when I wrote Scandalous Women. They become so real to you when you write don't they? Almost as if they are sitting by your shoulder. You know, as a fellow actress, that their emotions become your emotions, so as you are writing the words, you are feeling what they must have been going through. The final book details the final years of Marie Antoinette's life. This must have been a gut-wrenching book to write because we all know how it ends. Just had a text from a friend that blogger ate her comment! 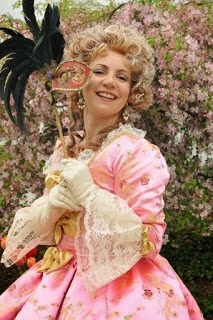 Mala's question is: Marie Antoinette is often portrayed as vapid or evil (or a serial killer). What was your take on her personality? I knew it was going to be a get-out-the-Kleenex book. At the same time, I wanted to keep it hopeful. Marie Antoinette and Louis don't know how it will end. THEY keep hoping for a savior, or that the revolutionaries will understand the error of their ways. Even during the Revolution, Louis XVI referred to his subjects as "my good people." He thought the demagogues swaying them were rancorous, but that the people were simply misguided by them. So the royals remain hopeful. And it was also a challenge for me to keep the tension ratcheted up when the readers know how it ends. But the CHARACTERS don't know how it ends, or what will happen next. They gone from one dire situation to the next, but they keep hoping it's going to get better. The readers know it's going to get worse. But the characters don't. So I always had to be sure I was in their heads, rather than author-I-already-know-this head. Vapid? No, she wasn't, although she was not a well educated woman. However, in the third novel, she rises to the occasion and learns to write in cipher and becomes extremely level headed in order to help save her family. As for the charge of being a serial killer? Who did she kill? Marie Antoinette never killed anyone. Part of the propaganda about Marie Antoinette that malingers is that she was "evil." In fact, she desired nothing but good for her people. She was out of touch with many of her subjects, but she routinely gave to charity, as she was raised to do, and from the time she came to France at the age of 14, wanted the best for them. It was only after the violent Revolutionaries tried more than once to literally kill her that she had no mercy for THEM. I was referring to the new YA novel where Marie Antoinette seeks her revenge against the descendants of the revolutionaries. Did you see the Diane Kruger film? I was very disappointed in it. They went with the myth that Marie Antoinette harbored lesbian feelings for the Princesse de Polignac. I know there is a MA-serial killer book out there, which is obviously fantasy and not at all fact-based. I could not bring myself to see the Kruger film. I saw a 20-minute interview (in French) with its director before it came about about how accurately it portrayed MA's character and life. 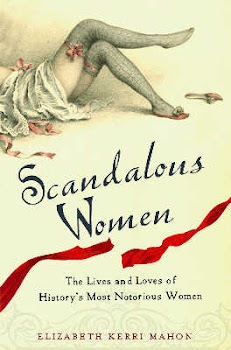 And of course the author, Chantal, wrote a non-fiction book on how MA was traduced and slandered by all the pamphlets stating that she was a lesbian in relationships with Lamballe & Polignac, with copies of the awful original pamphlets and satires. And THEN the director goes and makes his movie and makes MA a lesbian with Polignac (evidently shoehorning it into Chantal's NOVEL, which is the story he filmed. I wondered what Chantal herself felt because she had written the definitive book on the fact that it was all vicious propaganda. MA was not a lesbian, much as some people might like to believe it. Nor was Polignac. Or Lamballe. I wonder if people keep perpetrating the myth because they think that it sells or it's more dramatic which is ridiculous because Marie Antoinette's life was dramatic enough without adding all this other stuff to it. I, too, was amazed that the director chose to add that it to the movie. It would have worked without it. Diane Kruger actually wasn't half bad as Marie Antoinette. Much better than Kirsten Dunst. Marie, along Mary, Queen of Scots, and Anne Boleyn seem to provoke extreme reactions in people. I once had a history teacher who said that Mary, Queen of Scots would have been better off as a housewife completely discounting the fact that Mary was entering hostile territory when she returned to Scotland. Here's a question for readers: do facts matter? I am one historical novelist who is excruciatingly keen on sticking to the historical record and when I deviate, I put it in an author's note at the back of the book, explaining what I did and why I did it. But there are other historical novelists that, as the saying goes, "never let the facts get in the way of a good story." So -- for readers of a novel (or trilogy) that is populated with myriad historical figures, is it important to you when authors try to stick to the real story and then use their imaginations to embellish and embroider in the spaces around what is known? Your history teacher's ignorant comment about MQS made me laugh out loud. Some have greatness thrust upon them, true, and Mary, Queen of Scots was not the born leader that her cousin Eliz. I was, but, like Marie Antoinette, she faced myriad obstacles -- among them, not being accepted as queen (and MQS was queen regnant of the country she was born in, while MA was a queen consort in the royal house she married into). But neither was accepted from the getgo. And face it, most history is written by misogynistic men. That's a very good question. As a reader, I think the more documented a person's life, the less I like it when authors try and get creative as it were. If there is an open question about something where historians differ on what occurred, then I think the author has free reign to let her imagination soar. It makes me wonder though, why write about a real person, if you are going to change historical facts to suit the story. And I mean if you change huge chunks, like having two characters who didn't meet until later on in life, meet and have an affair early on in the book. Mala just wrote that 'facts matter but need spirit. All the research in the world doesn't fix a story without heart.' I think it is safe to say that no one can accuse you of writing a story without heart. Part of my whole point in writing the MA trilogy was to set the record straight after 220 years of propaganda, to vindicate Marie Antoinette, really, so it was important to me to get it right and to depict the demagogues and con artists for who they were as well. Thank you, Elizabeth! And I agree with Mala. Without heart, we don't care about the characters and have no reason to keep reading. And that's why I told Marie Antoinette's story in novel form. I had no interest in writing a biography. I wanted to show the emotions and the heart, and to make readers feel sympathy, or even empathy for her, by the third book. Which is why you needed three books to do it, one for each stage of her life, the young Archduchess who comes to France as a teenager, the young Queen who finally grows up through the trials and tribulations that are thrown at her, and then finally the Queen thrown into the midst of this new and chaotic world that is trying to tear down the old one. Hello, there. Sorry I'm late...just finished dining! Juliet, in regards to your question, the facts really depend on the story for me. Knowing the history of the period and the lives of your characters so well, the historical context really set the scene for Confessions. The novel is so convincing with all the facts and events you include. I was so happy to see a bibliography! I am sure I am a more flexible reader with periods and figures I am less familiar with, but I can't imagine your story without all the effort and dedication to history you put in! As someone who shares a birthday with the lady in question, I've never understand who anyone couldn't emphasize with Marie. She's living in a country that is not her own, dealing with a court and a way of life that was so different from what she grew up with. Her desire for motherhood was thwarted for such a long time. Yes, she wasn't a savvy political strategist like Catherine the Great or Elizabeth I, but she wasn't brought up to be one. I know that she and Louis made mistakes but the ways things were at court were so entrenched, I'm not sure what they could have done that would have changed their fate. Yes, exaclty! I could not have told MY version of her story in a single volume. There was too much of the record to set straight. One volume would have eliminated much and left little time for character development. I would have had to bounce from one "greatest hit" of her life to the next in a life "crowded with incident" as Lady Bracknell says, for a woman who didn't even live to see her 38th birthday. How could readers understand how she came to be executed without everything else unfolding in the page time required? Maybe that's one reason why so many people still don't understand her: because to understand who she really was, to get under her skin and inside her head, takes time. And her variousl relationships had to develop organically. Here's one example: She can't meet Axel von Fersen, and then bang-- they're lovers. How would they have earned that relationship? It had to build over years, as it did in real life. Another example is the affair of the diamond necklace -- the con of the century that took 2 years to unfold because it was so complex, and my editor had me cut some of the trial, in fact. It was really juicy, but the necklace affair could be a book in and of itself. Hello, Margaret and Lauren Marie! Lauren, I may be one of the few HF authors to add a bibliography, but I felt it was important, because I wanted readers to know that I really did my research: lots of it! And there are things that didn't even make it into the bibliography: info from researching the first novel in the trilogy where I made sure that the names of the men who transformed MA were the actual men who gave her the makeover and I used their actual biographical details as well. Right down to the dentist who fixed her teeth. I've always been fascinated by the Affair of the Necklace. The film really didn't do it justice because they were too busy trying to make Jeanne de la motte a heroine. Juliet! So thrilled about your latest book! 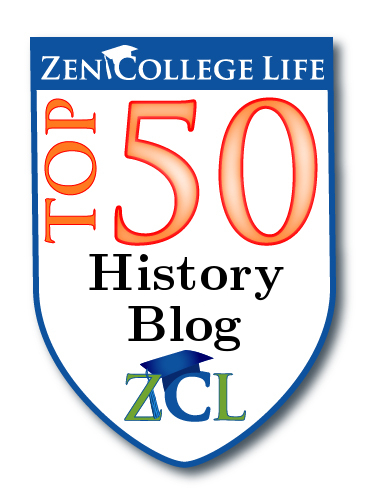 Can you tell me your juciest historical tidbit from the latest book and maybe a jucy historical tidbit you weren't able to include but would have wanted to if you could? Thanks! Thanks Elizabeth for hosting this! Was writing a Leslie Carroll non-fic a good way to clear your head of the Queen who had inhabited it so long? I love that you included a bibliography. 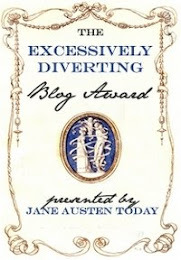 I wish more historical fiction authors would or at least provide it on their website. I'm such a history geek that I get off on stuff like that. I agree, Elizabeth, that there was not much MA and Louis could have done. Perhaps MA could have been more tolerant of the old guard, the courtiers left over from Louis XV's reign, who were in her entourage. But don't forget, they had gossiped about her behind her back and were not kind to her when she was dauphine. So when she became queen (and she was only 18 years old), she got a bit of her own back and took revenge on the gossips by excluding them from her circle. Don't forget that the seeds of the Revolution were sown within the aristocracy and many of the libelles that were printed about MA were made right on printing presses owned by some of the courtiers who lived under the eaves at Versailles. So it would have taken a very mature 18 year old to have risen above the backbiting gossips, taken the high road and tried to remain cordial to them regardless of how they had treated her and what they continued to think of her. Juliet we have two final questions for you before we sign off for the evening from Margaret and Leanna. Elizabeth; don't get me started about that movie. The more you read about the real Jeanne de Lamotte, the more you know she is NO heroine! And Hilary Swank was SO miscast! Hi, Leanna!! I'll be reading a juicy historical tidbit from CONFESSIONS OF MARIE ANTOINETTE at Lady Jane's Salon on Monday night -- yes Axel von Fersen really did sneak into the Tuileries when there was a price on his head on the night before Valentine's Day in 1792 and spend the night with Marie Antoinette. What happened? As for a juicy tidbit I could not include: Marie Antoinette's trial was of course before a kangaroo court and the verdict was a foregone conclusion and she was accused of a zillion transgressions, 99% of which were false, none of which could be proven by the Revolutionary Triubunal. The ONE thing she was accused of that was TRUE, but which they had NO documentary proof of -- and which if convicted, had it been a legitimate court and trial, would have been absolutely treasonous -- was that she did indeed write to foreign governments and conspire with them to invade France to overthrow the Revolutionary gov't and rescue the royal family and replace them on the throne. Of course MA denied it on the witness stand because she knew they had no proof. Margaret, I scrambled to write the Leslie Carroll non-fic (to be pubbed by NAL in November 2014 and titled INGLORIOUS ROYAL MARRIAGES: A Demimillennium of Unholy Mismatrimony. It wasn;t so much clearing my head of MA because I had such a short window left in which to write the book -- but I ended up revisiting her for a few sentences because the book profiles the hellacious marriage of her favorite sister, Maria Carolina to Ferdinand IV of Naples. Thank you Elizabeth, for hosting this wonderful, spirited discussion! And thank you to everyone who showed up to chat with me. It's been a pleasure to be here!! Any final, final questions? The Neapolitan court is a stitch--I look forward to reading your coverage of MC & FIV! Juliet, thank you so much for stopping by Scandalous Women this evening! I can't wait to hear you read from CONFESSIONS OF MARIE ANTOINETTE on Monday at Lady Jane's Salon at 7 pm at Madame X on Houston Street. Check out www.ladyjanessalon.com for more information. And pick up a copy of CONFESSIONS OF MARIE ANTOINETTE at your local bookstore or better yet the whole trilogy. You must've got to re-visit Emma Hamilton as well! I just keep imagining it the way it's depicted in "That Hamilton Woman," only with more livestock running around the rooms of the Palazzo Reale, per the Emperor Joseph's description of the place. See some of you on Monday!!! Bon soir et ciao! What great historical facts! Seems more heightened than fiction! And I can't wait to hear / read more!! Thanks for hosting, Elizabeth, for your great questions! Thanks Juliet for this great discussion!